Discover Japan’s rise to modernity and its relations with global superpowers through official British Government documents from The National Archives, UK. This collection provides significant insight into the events between First World War victory and Second World War defeat, crucial to understanding the political journey of Japan during this period. Sourced from the rich FO 371 and FO 262 series at The National Archives, UK, this resource unites formerly restricted Japan-specific documents and is enhanced by the addition of a selection of FO 371 Far Eastern General sub-series, and Western and American Department papers. 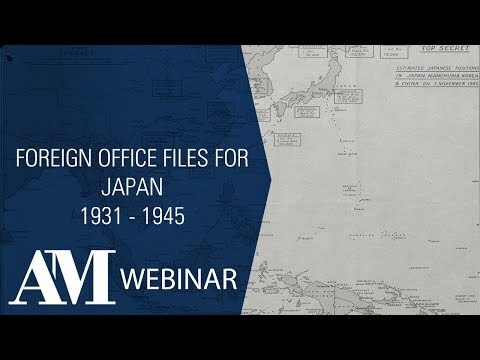 Foreign Office Files for Japan, 1919-1952 is part of Archives Direct, a cross-searchable multi-product platform, sourced from The National Archives, UK.